A cheating boyfriend can create real concerns for any woman involved in a serious relationship, especially if she has hopes of marriage in her near future. Although it is horrible to be a victim of infidelity, it is still better to know the truth before it is too late and you become legally bound to the cheater forever. 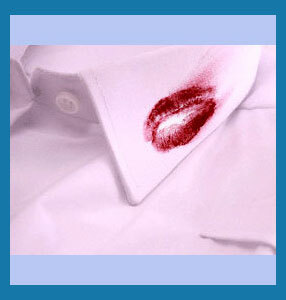 There are a variety of behaviors which may indicate an unfaithful streak to your beloved boyfriend. Of course, many of these clues can also be justified and easily explained, so it is never a good idea to jump to unfair conclusions and confront your man prematurely. This dialog details professional investigations that are commenced to catch unfaithful boyfriends in the act. Catching a cheater is easier if you share a home together. If you live apart, he has far more personal freedom to plan his infidelity without you having any idea that an affair is occurring. If you suspect that your man is cheating, it is better to observe and consider hiring a professional investigator. If you confront him yourself, you will likely never know the truth for sure. You might break up and he may be innocent. You might stay together if he can adequately convince you of his innocence, despite the fact that he may be guilty as charged. Staying with a cheater may expose you to danger in the form of sexually transmitted diseases or even potential stalking or violence from his new girlfriend. These are risks you do not need to take. He has less time for you and waning sexual interest. He suddenly starts traveling for business or for unexplained reasons. He has unfamiliar pictures or numbers in his cell phone. He chats often on the computer or receives suggestive email messages. He suddenly cares a lot about the way he dresses and looks. He changes plans erratically and is inquisitive about your schedule. There are female items in his home, which do not belong to you. He wants privacy on the phone or computer. He removes pictures of you from his home, workplace or wallet. If you suspect that your boyfriend is being unfaithful, do yourself a favor and contact a private investigator. This is especially true if you are serious about this person, planning a long-term relationship or are already engaged to be married. We know the reality that someone may be cheating on you is hard to deal with, but it is always better to know, than to wonder and say nothing at all. A private detective can surveil your boyfriend and find out why he is behaving like he is. Maybe there is a simple explanation, which will give you peace of mind and confirm how faithful he really is. However, if he is cheating, you will know without a doubt and can make a confident choice to be rid of him, once and for all.